Following the personality test, the book highlights the strengths of each type of personality in a section entitled Personality Potential. Then, in the next section, the weaknesses of each personality are discussed. In the final section, the book ties this all together with a discussion of how knowledge of the different personalities can impact our relationships and how we can integrate this knowledge to improve them. I loved doing the personality quiz at the beginning. I have a choleric personality, so, of course I like to get right to the point. I dislike beating around the bush and wasting time with details. For all the melancholics out there, I am sure you will love the list: it gives you things to check off. Sanguines, you will have fun too – it can be a game. And to the dear phlegmatics, I am sure you will find a friendly tidbit for everyone. 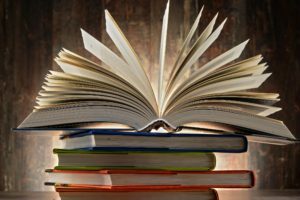 Here is a breakdown of the book and what I thought as I read through the sections. Naturally, when I began reading it, I went straight to the section on chlolerics (why waste time learning about the other personalities, right?) . I went to see what my strengths were, bypassing the sections on sanguines and melancholics. Then I read on the melancholics – there are a number of these types in my family, and I realized why I may have been stepping on some toes and causing hurt feelings. When you read about these two personalities (Choleric and melancholic), you will understand what I mean. Against my natural inclination, I had to read the section dealing with weaknesses. Do cholerics have weaknesses? Yes, in fact they do – sorry cholerics! This was a humbling experience. The phlegmatics were looking very good at this point and I, as a choleric, was enjoying some humble pie (maybe from misunderstanding the melancholics). You sunny sanguines are not off the hook – why can you never find your keys? Phlegmatics – gotta love the phlegmatics, but .. please.. make a decision! Finally, I liked that the book ties everything into why it is important to be aware of the different personalities. Relationships, both personal and professional, can benefit enormously. I believe this is the most important point of the book – learning how this knowledge can build (and repair) relationships. If we only focus on what our personality type is and use it for better or for worse, we are missing half of the picture. My biggest problem with the book (and it is a really good book) has to mostly with the fact that I couldn’t bring myself to read it all the way through for a while. That has a lot to do with my personality. I figured that once I had done the test and learned about my personality, I was pretty much done. After several attempts and many excuses, I decided to get down to the business of finishing this book and I am glad I did. I learned a lot! 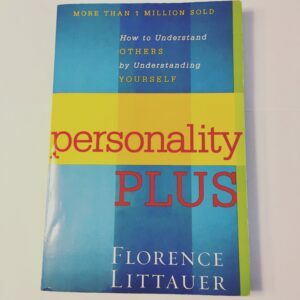 Personality Plus is a book that is well worth reading. It gives a detailed look into each of the four personalities : their strengths and their weaknesses. The final section zeroes in on the importance of being aware of the personalities and how this knowledge is applicable in pour personal and professional lives.